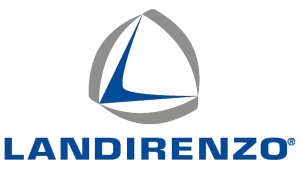 Founded in 1954 in Reggio Emilia, Landi Renzo became an industrial group present in over 50 countries, with subsidiaries in 10 countries. Landi Renzi S.p.A. has already established partnerships with some of the world’s most important automobile manufacturers. For over 60 years, Landi Renzo has been providing concrete and effective answers to issues of environmental sustainability through automotive fuel systems that use alternative, environmentally friendly and less expensive fuels. Landi Renzo S.p.A. has created a division dedicated exclusively to articles for car manufacturers (OEMs) and in which it invests constantly. It currently provides complete components or systems to some of the major vehicle manufacturers. The Landi Renzo Quality System has obtained ISO 9001 certification since 1996 and has been awarded with the ISO / TS 16949 certification, specific for the automotive market, in 2001. The Landi Group promotes the use of modern and advanced systems to combat air pollution, the impact on the environment and to improve the quality of life. The pride of the company is the R&D Automotive Labs, a point of reference for collaborations and synergies with the most prestigious universities, international research centers and companies that choose us as the preferred supplier for emissions testing, homologations and applied research in the automotive field. .
Studies, research and development are aimed at encouraging the use of alternative energy for engines that are cheaper and respect the environment. The constant research in this sense have found real application thanks to an innovative patented Landi Renzo technology for the conversion of traditional hybrid-electric vehicles: HERS (Hybrid Electric Retrofit System). Thanks to the installation of 2 electric motors in the wheels of the rear axle and the perfect integration with the existing mechanical components, made possible by close collaboration with some major car manufacturers, HERS is able to reduce consumption by up to 35%, in particular in urban routes. According to its philosophy that supports innovation for sustainable mobility, Landi Renzo continually invests in the development of new technologies and in the use of alternative energy. In particular, Landi Renzo works with its customers to design system components for energy alternatives that are lighter and more compact, so as to promote better integration in vehicles and lower fuel consumption. From traditional eco-compatible fuels such as LPG and Methane, to the new horizons of hybrid-electric power: Landi Renzo constantly invests in research and design of cutting-edge technologies, to turn reality into a project of the future. It has a research and development center, a futuristic structure of 15,500 m² opened in September 2014 and designed according to the most modern building sustainability standards. Landi Renzo is an official partner of the LIFE-SAVE project.